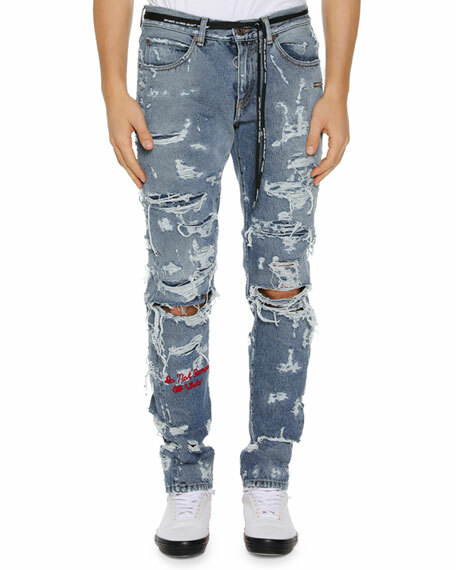 Off-White jeans in distressed light-wash denim. 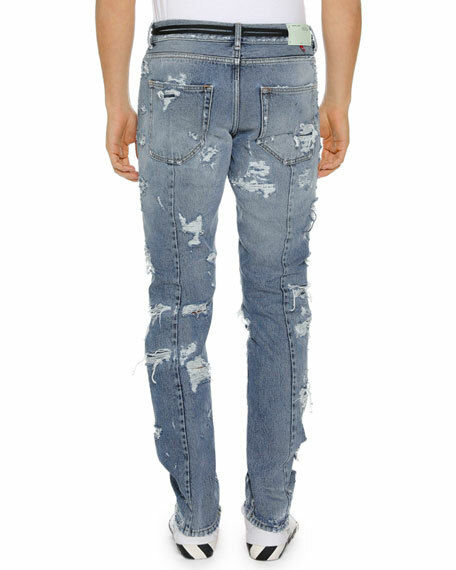 Slim, tapered legs; darted back detail. For in-store inquiries, use sku #2614426.